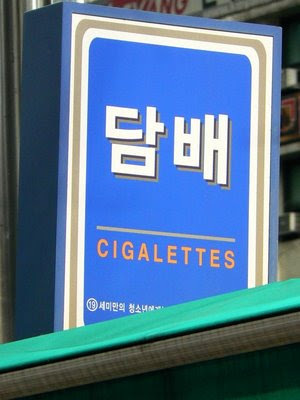 A sign on top of a kiosk in downtown Seoul. I'm the kind of hombre who loves to seek different things. Right now I am constructing my personalized solar panels. I'm managing it all alone without the aid of my staff. I am utilizing the internet as the only way to acheive this. I came across a very amazing site which explains how to make pv panels and wind generators. The internet site explains all the steps involved in solar panel construction. I'm not really sure about how accurate the info given there iz. If some guys over here who have experience with these things can have a peak and give your feedback in the site it will be awesome and I would highly value it, cauze I extremely take an interest in [URL=http://solar-panel-construction.com]solar panel construction[/URL]. [color=#5588aa]Музыкальная группа [url=http://dejavu-group.ru/artist.php]Deja Vu[/url] - это коллектив виртуозных вокалистов и музыкантов на праздник. [url=http://dejavu-group.ru/index.php]Дежа вю[/url]- лидер в области музыкального оформления дней рождения. В репертуаре музыкантов на праздник Дежа вю более 3тыс. произведений. Музыкальная группа Deja Vu обладает мощной качественной музыкальной аппаратурой, позволяющей наполнить приятным уху звуком как маленькое помещение (фуршет), так и огромное помещение (корпоратив до 1 тыс. человек). прошу прощения за опечатки.... очень маленькяа клавиатура у PDA! Interesting information about A Sign This theme serves to educate people in their daily life, thanks to people like you we have more knowledge about this important issue.